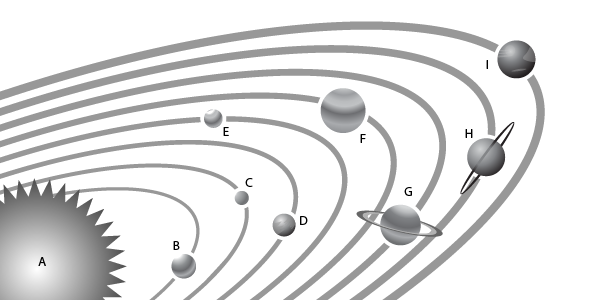 Which statement is true about the solar system diagram shown? It shows the geocentric model. It shows the heliocentric model. It shows the Ptolemaic system. It shows the ancient Greek model.